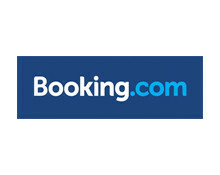 Established in 1996, Booking.com™ is the leading worldwide online hotel reservations agency by room nights sold. Part of Priceline.com, Booking.com features over 200,000 hotels in 165 countries, is available in 41 languages and attracts more than 30 million visitors every month. WebRezPro’s interface with Booking.com provides hotels with automated management of inventory on Booking.com through the WebRezPro property management system.